Courtesy of Natalya Ogorodnikova, Coldwell Banker Residential Brokerage. NEW VERY COMPETITIVE PRICE! Very convenient for busy commuters with various amenities, parks & transportation close-by! 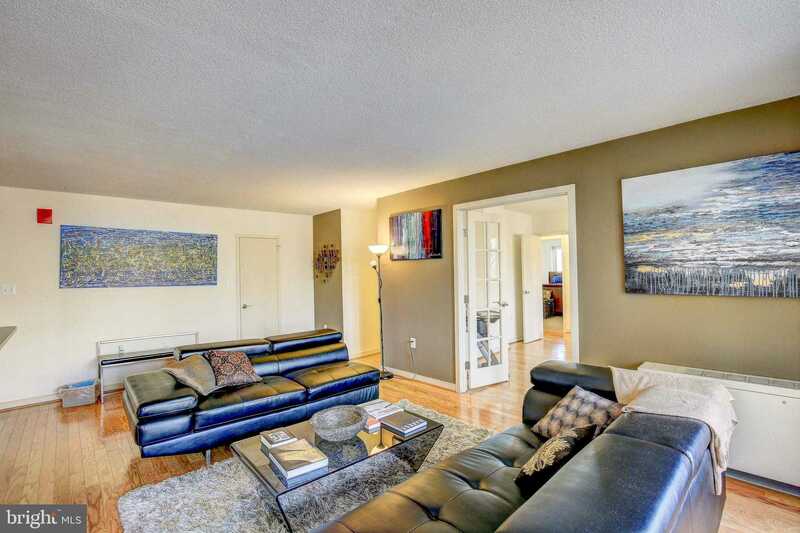 Full of natural light spacious open-concept 3 Bedroom/2 Baths condo. Warm hardwood floors. Gourmet kitchen with rich wood cabinets, granite counters, stainless steel appliances & wine fridge, washer & dryer in the unit. Large Master Bedroom, with en-suite bath. Lots of storage. Nice view from a big private balcony. Two assigned parking spaces – one in the garage, one -assigned outside space. ALL UTILITIES INCLUDED in condo fee. NEW Fitness center/pool/tennis/playgrounds,dog park & more. Just minutes to DC/metro lines and bus stops. Walking distance to Sligo Creek Park. In 2020 Purple metro line stop will be within walking distance. FHA/VA Approved. SELLERS WILL HELP WITH CLOSING COSTS.